Uttar Pradesh Combined Pre Medical Test (UPCPMT) Exam 2012 Notification is issued by CSM Medical University, Lucknow, UP (www.csmmu.in). UPCPMT Exam will be held on 3rd June 2012. 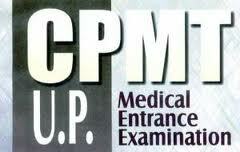 UPCPMT Exam 2012 is an entrance examination conducted by Chhatrapati Shahuji Maharaj Medical University, Lucknow on behalf of the Government of Uttar Pradesh for admission to various bachelor medical and dental courses like MBBS/BDS/BAMS/BHMS/BUMS in the medical and dental institutes in Uttar Pradesh. A large number of candidates from all over Uttar Pradesh appear for UPCPMT for admission in the best medical and dental institutes. There are 41 Government/Private institutes in Uttar Pradesh in which admission is through UPCPMT 2012. Of these 8 institutes offer MBBS, 15 institutes offer BDS and the rest offer BAMS/BHMS/BUMS. Qualification Criteria: Candidates should possess a domicile of Uttar Pradesh. AND A candidate should have passed 10+2 or equivalent examination with at least 50% aggregate marks (40% for SC/ST) in Physics, Chemistry and Biology. In addition candidates should have also passed English. Those who are appearing for class 12th exams in 2012 can also apply. How to apply: The duly filled OMR Application Form, is to be submitted by the Registered/Speed Post placed in the envelop without folding, to the Chairman, C.P.M.T.-2012, CSM Medical University, U.P., Lucknow-226 003 U.P. It was written in the newspaper that the expected date of U.P. combined pre-medical entrance test is '3rd JUNE',but coincidently the date of examination clashes with the date of mains examination of 'Guru Gobind Singh Indrapastha University'. kindly confirm the date of U.P. combined pre-medical entrance test and if the prior news is confirmed then ,it is a humble request to alter the date of examination so that we can appear in both the examinations. Please give updated information about forms, dates, and exam. yes no form has been uploaded yet for UPCPMT. today is 3rd April but yet forms are not available......WHEN??????? from where u tried to buy? you cheat the viewer and lost the trust due to totally wrong information about the date of availability of application form and suspected examination date of up cpmt 2012.why? please tell us when we will get the forms of UPCPMT. plz, correction in ur site about inf. of notification,submission of upcpmt. give me ur any helpline about it. i lost my admission form no. without it i cannot found my admit card. please help me. what can i do sir. its been so late now n still not a single information regarding upcpmt.i m forget to wrote my application form no . without it how to got my admit card. m sc student . i ve lost my application form no . how to get admit card plz . convey to 8533998173 siddharth saxena. when will we get our ADMIT CARDS....? i have lost my app.no. but i have my roll no.412349 that was sent by u on 26/05/2012 through sms on my mob no. kindly send my admit card by post......its a request.